“Huh?” some of you say. Borgueil? What on earth is that? And how on earth do you pronounce it? bor-GOO-ee-uhl? BOR-gweel? bor-GWEYE-uhl? 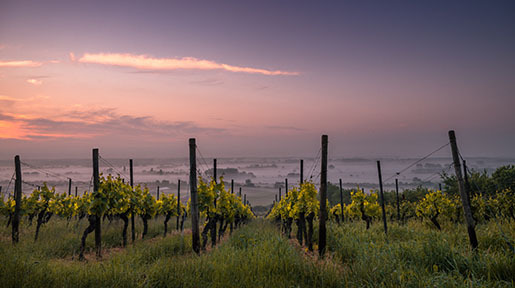 It is perhaps unsurprising that one of the hardest wine regions for non-French speakers (and wannabe French speakers like me) to pronounce is one of the better-kept secrets in the wine world. One can hardly fault even the most adventurous American diners for steering clear from the inevitable embarrassment of an attempt at “We’ll have a bottle of the ’02 BOR-gyou-ee-EYE-uhl.” The matter is only complicated when Borgueil is merely a part of the name on the bottle, as with the region’s neighbor St-Nicolas-de-Borgueil. Of course, most of us have rarely had the opportunity to mangle the pronunciation of Borgueil in a public setting, as these wines rarely show up at wine shops or on wine lists. By way of example, if any wine list might be expected to include a Borgueil, it would be that of the legendary Chez Panisse, which sources a number of its wines from Berkeley importer Kermit Lynch (one of the more reliable sources for Borgueil in the Bay Area). But Chez Panisse (based on its wine list published online as of the date of this article) carries exactly zero Borgueil or St-Nicolas-de-Borgueil. It does, however, carry several of Borgueil’s (much easier to pronounce) Loire neighbors, such as Saumur, Chinon, and Vouvray. Bottles of Borgueil tend to be found on the shelves of only the most unconventional wine merchants, perhaps because consumers often avoid unfamiliar and unwieldy names (can’t blame ’em). But most wine drinkers lucky enough to happen across (and bold enough to taste) Borgueil know that the diminutive region produces some of the most interesting, value-laden wines on the market today. This article has two goals. First, to clarify how to pronounce Borgueil. And second, to suggest what Borgueil (and especially its lesser known comrade St.-Nicolas-de-Borgueil) has to offer the wine lover. Both points have as their aim the increased consumption (and ultimately, availability) of this most overlooked of wine gems. On to the second point: Now that you can pronounce the wine well enough to order it, what should you expect when you drink it? In short, you should expect terroir. That means several things. First, it means that every wine will taste a bit different from the next. Terroir-driven wines are not cookie cutter beverages – each wine is unique, because the taste of each wine actually reflects the different parts (soil, vines, sun exposure, gradation, weather) that make up its whole. Drinking wines like those from Borgueil thus holds potential not only for delight but also for intrigue and education. 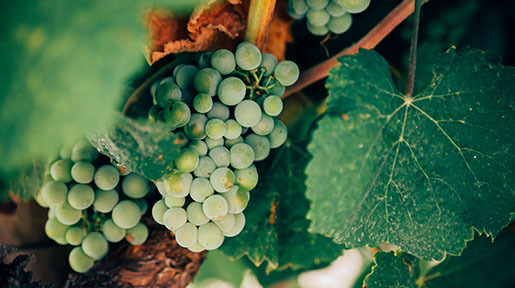 Second, terroir means that fruit will rarely be the dominant characteristic in these wines. Borgueil has a reputation for giving a lot of play to less popular flavors like herbs, earth, and barnyard. Some people hate these flavors. I think they’re what make wines different from grape juice. Sure, like most people, I don’t want my wine to smell and/or taste like manure. (This is not a joke – I’ve had a number of wines that fit this description.) But a certain earthiness, a real sense of place, is what makes wine interesting, mysterious, and sometimes profound. Third, it means that Borgueil will go great with food. The nuances of terroir can sometimes lend a wine an overly eccentric set of flavors when drunk alone. But those idiosyncrasies often moderate when paired with food, making Borgueil an ideal accompaniment for a variety of fare. Wines that let their terroir shine bring harmony to a meal, rather than coating dishes in alcohol and grapey fruit (like so many New World, hot-climate Syrahs I’ve seen, for example). The fact that Borgueil goes so well with dinner underscores the travesty that it is so rarely found on restaurants’ wine lists. Yes, yes, terroir. But what does Borgueil taste like? That’s a simple question that deserves a simple answer. Instead, I’m going to give an equivocal, vague response. Making definitive statements about what flavors to expect out of a given bottle of Borgueil is tricky business. In preparation for this article, I’ve tasted four different bottles of St.-Nicolas-de-Borgueil (plus several bottles of Cabernet Franc from neighboring Loire regions) over the past week. And if I’ve learned one thing, it’s that Cab Franc from the Loire is hard to peg. As I suggested in last month’s column on this subject, the flavors in these wines are difficult to predict, but impossible to ignore. What they lack in consistency, they make up in intrigue. I used up a good deal of virtual space talking about the unique characteristics of Loire Cab Franc in last month’s column, so I won’t do that here. But I will say that Borgueil – and especially St.-Nicolas-de-Borgueil – are well worth buying and tasting if you’re in the mood for fascinating examples of wines that let the earth and vines do the talking. 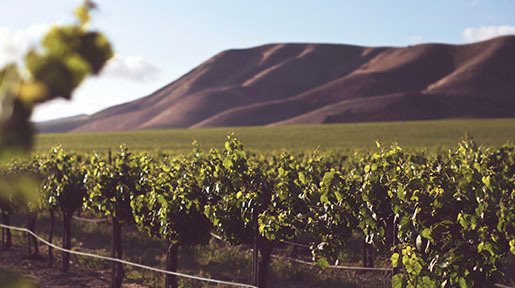 And therefore, unsurprisingly, these wines tend to marry fresh raspberry and cranberry fruit with flavors and aromas of earth, minerals, chalk, slate, herbs, bell peppers, flowers, moss, pine, wintergreen, and yes, the occasional barnyard funk. Wine from Borgueil and St.-Nicolas-de-Borgueil, along with those from the better-known nearby Chinon region, tend to produce Cabernet Franc that is richer in flavor and can be aged longer than that from regions like Saumur, Touraine, and Anjou. As between Chinon and Borgueil/St.-Nicolas, the latter is sometimes described as more rustic. But that depends in large part on the individual vintners. And as between Borgueil and St.-Nicolas, the only generalization worth making is that St.-Nicolas-de-Borgueil is less expensive in my experience, probably because its profile is so low. Borgueil is a tiny country appellation (1300 hectares) centered around a tiny country town. St.-Nicolas (950 hectares) is even tinier on both counts. 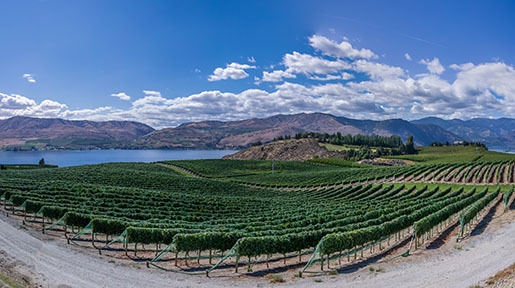 The happy result is that the highest-end cuvees from the best-respected houses in St.-Nicolas (like Joel Taluau and Frederic Mabileau) can often be had for less than $20. That makes St.-Nicolas-de-Borgueil one of the very best deals around. Unfortunately, it’s also one of the hardest regions to find – but the prize is well worth the search. If you live in the Bay Area, check out K&L (San Francisco, Redwood City, and online) and Kermit Lynch (Berkeley) – both carry some of the better retailer selections I’ve seen. And since you now know how to pronounce bor-GOI with confidence, you’ve got all the tools you need to mine one of wine’s hidden jewels.